Why is everyone else killing me? Grand Theft Auto 5 is out, and it's a hell of a solo experience. GTA Online, released shortly afterward, is a sixteen player antagonistic experience that sometimes allows you to play nice with strangers. More often than not, you won't. Here are some answers to common questions about the experience. How many players can play Grand Theft Auto 5 online? How do you begin a co-op session in Grand Theft Auto 5? How does save game progress work for co-op play in Grand Theft Auto 5? Can I join a game if the host is further along than me in Grand Theft Auto 5? Can I disable the PvP elements? Or am I stuck dealing with griefers? Where are the Heists? How do I start a co-op Heist? How is cash split up in the co-op elements? What are the purpose of crews and the Rockstar Social Club? Are there any sort of classes or roles for your character? Wheel man, defense, assault, etc? 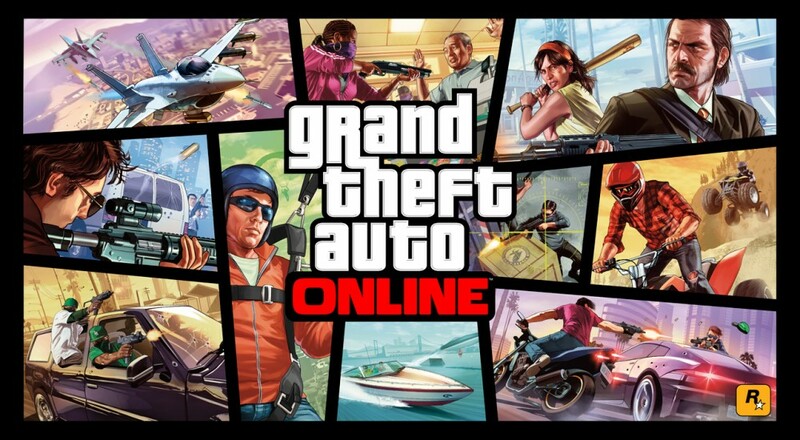 Up to sixteen players can play on a single GTA Online server, though Jobs can vary the number of players allowed. It's usually 2-4, though some allow up to 6 or 8 players to join in. After firing up GTA Online, you can either drive to Job Hotspots, or use your character's mobile phone to select from a list of available Jobs, or queue for matchmaking using the Quick Job menu. Assuming Rockstar's servers are working as intended, your progress is saved automatically. You can complete Jobs out-of-order pretty often, especially if you use the Quick Job menu for matchmaking. While GTA Online will attempt to matchmake you with players of equal experience, every now and then you might get dropped into a mission intended for a player many levels higher than you. This can either be hilarious, or extremely frustrating, since a character armed only with a pistol might be dropped into a mission that requires explosives or other tools. For a $100 (in-game) fee, you can elect to enable Passive Mode (via the Interaction menu), which renders your character invincible to other players (and you may not harm them). You can also set your game session to be Crew-Only, Friends-Only or even "single player". The latter disables several job types and is generally not recommended. Payouts from completed Jobs are static and each player receives the completion bonus. Any cash picked up along the way (off of corpses, etc) is your own. Crews are basically a fancy name for Clans or Guilds, and joining one (via the Rockstar Social Club website) gives you access to Crew-only sessions, leaderboard access, and the ability to call on Crew members for co-op sessions. You'll be notified whenever a member of your crew is seeking participants for an activity. Generally speaking, no. However, when you create your character you have to plot out how many hours per day your character does certain things, which dictate your stats - such as driving skill, or skill with firearms. As in the single-player portion, you can level up your stats, but you're generally a jack-of-all-trades. Certain missions might require someone to be in a car or on the ground while other players act as support in various aircraft, so you might want to prepare accordingly. Page created in 0.5650 seconds.